Once in an odd while someone calls me inspiring. I usually don’t know how to respond since I don’t think what I do is all that difficult since I’m already doing it (so how hard can it be!). I honestly just want to live an interesting life, see amazing places and do incredible things. How hard is that? So instead of prattling on about myself like normal I’ll list a few people that I find inspiring which may inspire some of you. Kurt is probably the most traveled of travelers that has ever travelled. He spent his younger days hitching hiking cross country then evolved to hopping freight trains. He has a map of the lower 48 somewhere crisscrossed with the dozen or two freight lines he’s hopped. Kurt further evolved to road bike touring and has crossed Europe multiple times, as well as the US, North Africa and parts of the Middle East. He then became a mountain bike ultra racer, taking 4th place in the 2,700+ mile long Tour Divide race across the spine of mountains making up the Continental Divide through Wyoming, Idaho, Colorado and New Mexico. All of this is done on a shoestring budget; dumpster diving, hitch hiking and doing the odd wrenching in bike shops to support himself. Now Kurt is 15 months into a circumnavigation of the globe by Fat Bike. Last I checked he’s ridden from Maine to Tierra Del Fuego – the southern tip of South America and is looking for a cheap way by boat to South Africa. His route will continue up to Mongolia and beyond. Amazing! 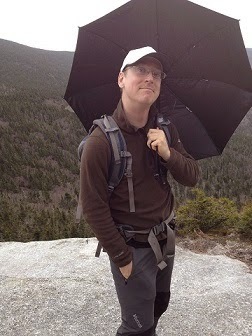 Clint (aka Lint, he dropped the C to save weight) has through hiked a long trail every year since 2006. That is the kind of dedication I can only hope to achieve. He’s currently working on his third through hike of the Appalachian Trail. Since he completed his third PCT last year, where we met, I’m guessing 2015 will be his third CDT to become a “triple” Triple Crowner – someone who has hiked the PCT, CDT and AT three times each. Lint inspired me to go stoveless and really dive off the ultralight deep end. The last time I saw Lint, it was 100 degrees in the shade in the Tehachapi Mountains. Two other hikers and I were sitting the heat out, sweating in the shade of the few pathetically thin trees we could find. Lint casually strolled by, umbrella in hand as if nothing was wrong. After a short exchange he told me “it’s just walking” and hiked on. Ever since then, the gravity of that statement has slowly sunk in. All of my obsession about gear and planning and water comes down to “it’s just walking”. Jill’s blog was the first “adventure blog” I started following, not long after my first bike tour back in 2008. Back then she lived in Alaska, and her blog was “Jill up in Alaska”, now it’s just Jill Outside (doesn’t have the same panache but se la vie). Jill has gone from adventure bike touring, to snow biking when snow biking was new, to ultramarathon running and more. She documents her trips so consistently it actually inspires me to do more blogging. Well, not really since you can see I don’t do much these days. Jill has made going outside the centerpiece of her life, which is what I really find to be inspirational. She has made numerous career decisions and moves based on where has the best outdoor activities. Unsurprisingly, Jill now lives in the Bay Area in California. Carrot is a different sort of inspiration. She published a book several years ago, which sadly flopped, but has since bounced around the Pacific Northwest in search of some life direction. She came to through hike the PCT last year, where we met. Carrot through hiked the same trail as I but with so many more challenges. She is gluten intolerant and seems to have continuous problems digesting most normal hiker food and has the usual lady hiker issues (both biological and creepy dudes). The way she writes is wonderful and hiking sounds like such an incredible struggle for her, where it was mostly meditative for me. Our timing on the PCT was similar, but she ended the trail hypothermic in northern WA after four days of consecutive freezing rain and snow. When I read Carrot’s blog and see what she’s able to push through, it makes me believe in myself. Carrot is through hiking the PCT again this year and her blog is an excellent read. Wired has now completed the CDT and is about a quarter of the way through the AT. She blogs literally every night and I can relate to her need to not be surrounded by people all day. The fact that she’s enjoying the AT, a trail known for massive numbers of through and section hikers, makes me wonder if it wouldn’t be so bad one day.